Food as Medicine: An Easy-to-Digest Podcast for a healthier you. If you missed our Food as Medicine Lesson on cruciferous vegetables, have no fear! 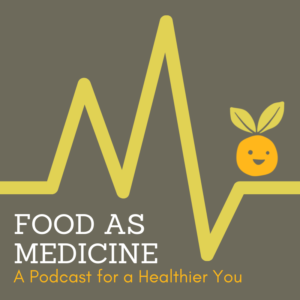 We have turned the information into a bite-sized podcast, so you can learn about making nutritious choices wherever you are. Feel free to download and distribute to your friends! Food as Medicine at the Foodbank of Santa Barbara County is a free, community-based education series presenting evidence-based nutrition and food information. Professional nutritionists, consultants, and dietitians share scientific findings alongside practical food preparation techniques and prepared recipe tastings. Food as Medicine sessions highlight invaluable functional properties of food less commonly discussed on main stream media platforms. Rather than focus on nutrient content, which most people are not extensively familiar with, we engage in discussion of a functional compound uniquely available in a fresh food source and the role it has in healing the body or maintaining health. Our first community Food as Medicine event was hosted in February and covered the topic of cruciferous vegetables. Listen to the podcast below and download the packet with tips, tricks, and recipes to follow along! If you’d like to know about the next Food as Medicine event, like us on Facebook or sign up for our email list. This entry was posted in Health, Nutrition, Nutrition in the News, Recipe, The BEET on March 14, 2019 by Hailey Phelan. Meat is a great source of protein, but can also be very expensive. However, there are incredibly healthful ways of eating meat that don’t have to break budget, and that are more environmentally friendly than the most common options. 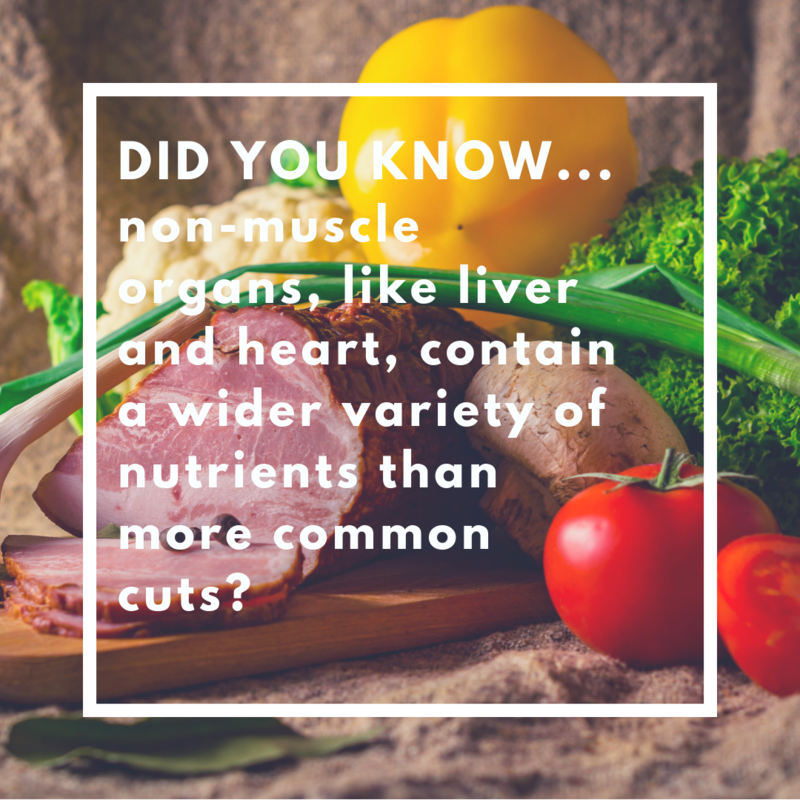 By eating organ meats, we are ingesting a wider variety of nutrients and adding a variety to our diet that we don’t usually have. abundantly in bones & cartilage) both perform vital functions in the body. nutrients it needs to do them. You may be wondering, how am I supposed to cook that? Here’s a simple recipe for beef heart to get you started. you’re ready to cook it (an hour is optimal, but for as long as 24 hours). sit for 5 or 10 minutes. Stir in the remaining herbs. 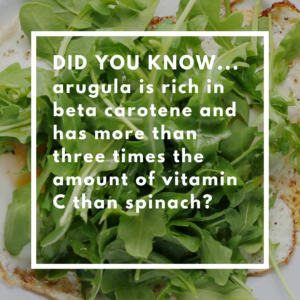 This entry was posted in Health, Nutrition, Recipes - The BEET, The BEET on January 31, 2019 by Hailey Phelan. 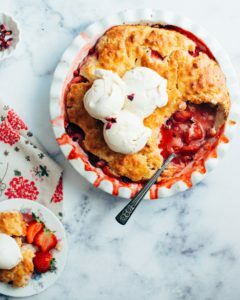 This recipe comes from Vibeke Weiland, the chair of our board and also a certified Nutritional Therapy Practitioner practicing at Santa Barbara Wellness for Life in Santa Barbara. This is a simple recipe that she and her kids love! 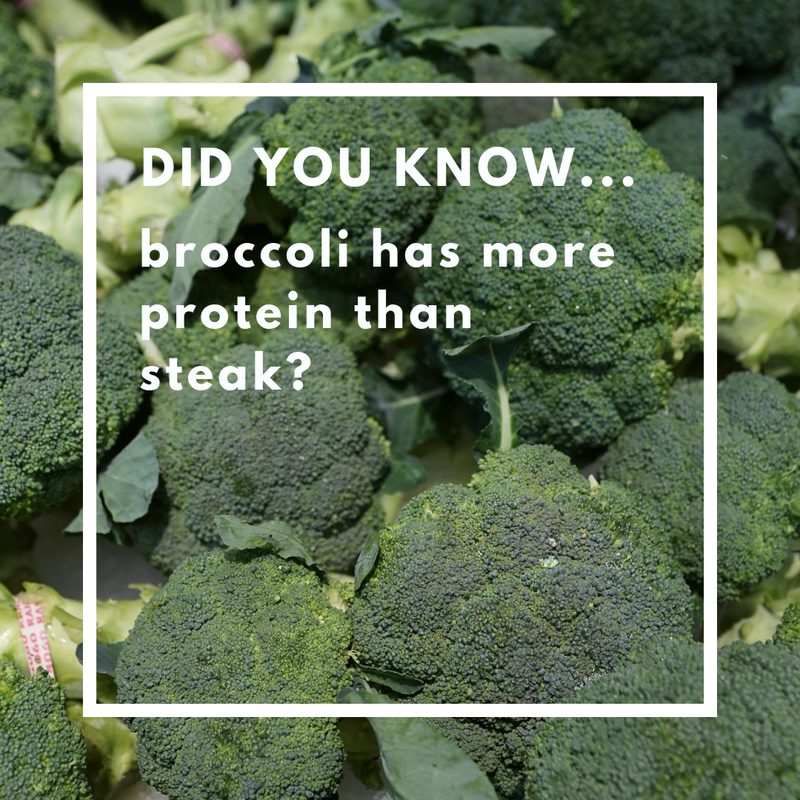 With it’s simple ingredients and little-assembly-required technique, it’s the perfect way to add kid-friendly cruciferous veggies to any meal! salad just before tossing & serving. 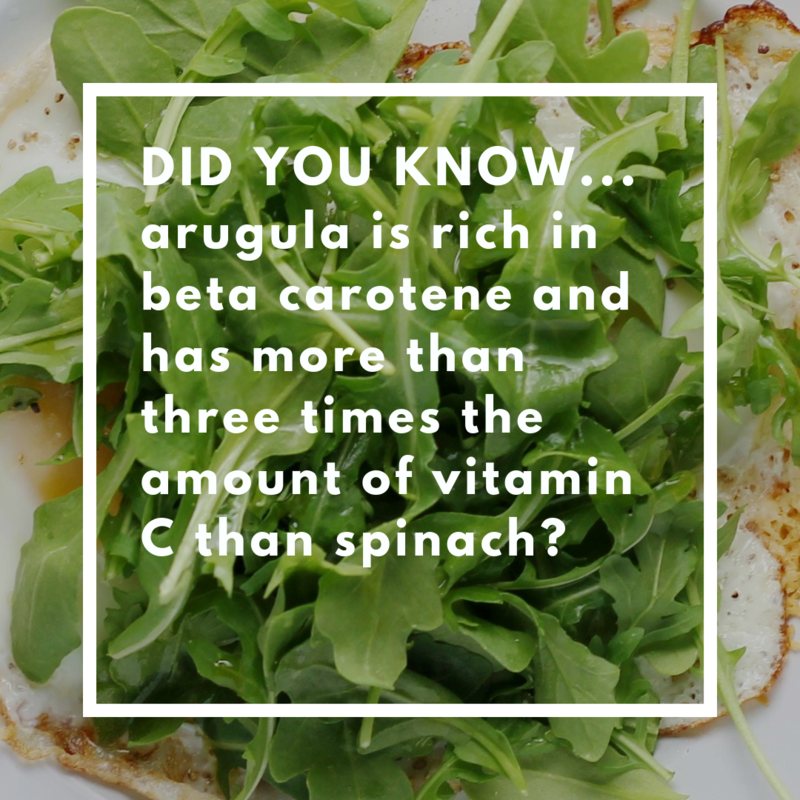 Inspired by Arnoldi’s Arugula Salad. This entry was posted in Fitness, Nutrition, Recipe, Recipes - The BEET, The BEET on November 28, 2018 by Hailey Phelan. We just can’t get enough of them. 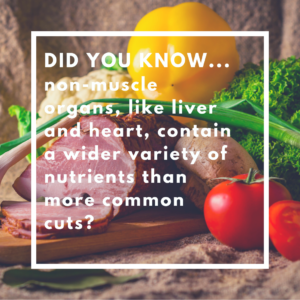 They’re so important for a healthy diet, AND extremely tasty and versatile. Check back for a new recipe each week! and spread into a single layer on a baking sheet. outside and soft on the inside. using) and honey. Mix until well combined. This entry was posted in Nutrition, Recipe, Recipes - The BEET, The BEET on October 12, 2018 by Hailey Phelan. I was talking to my dad about some barriers that are faced when it comes to eating healthy. 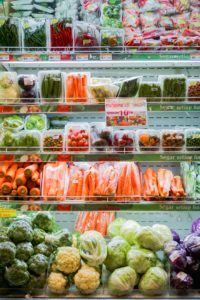 We have access to an abundance of fresh fruit and vegetables, whole grains, and legumes all packed with health-promoting nutrients and yet we opt for microwaveable meals and packaged foods. Making our own food is the best way to control the ingredients and know exactly what we are eating, but sometimes our busy schedules have a bigger say in what we are able to eat in a time-crunch. As much as I love looking at the food-bloggers post of colorful bowls of food and perfectly placed produce on the plate, I personally don’t have time to throw together extravagant meals. As someone working 40+ hours a week between 2 jobs, taking classes and finding as much time as I can to ride my bike, I am all for convenience without sacrificing my health, so here’s a few tips that I have picked up to make sure that I don’t have to spend a ton of time making food and have more time to do the things that I want to do. Eating healthy doesn’t need to mean outrageous salads with 25 ingredients and some fancy dressing. One of my go-to meals is a burrito bowl: the base of rice or quinoa, some greens like kale or spinach and then some legume like lentils or beans usually topped with avocado, nutritional yeast and salsa or hot sauce. That alone will cover most of your nutrient needs and is packed with fiber and a mix of carbs, fat and protein to keep you satisfied. If the rice or quinoa is made beforehand, it takes less than 5 minutes to throw it all in a bowl. I’ll do the same thing with cooked sweet potato; I’ll l just throw it in a bowl with some greens and some sort of sauce topping, and it’s good to go. These foods pack well too and can be taken to work. 2. Meal Prep. Meal Prep. Meal Prep. This is something that I struggle with too but I am SO glad when I put aside an hour on Sunday and cook up a big pot of rice or quinoa and bake some sweet potatoes in the oven. Then, during the rest of the week, I can just toss them in the microwave, add beans, add greens and I’m good to go. This will save you time and money in the long run and prevents those hungry runs to costly and unhealthy fast food places. Check out the Roberts Technology Group website for more ideas. 3. Buy what you’re going to eat. Make sure to have some staple foods that you buy and know you can make a meal with. For me that’s: oatmeal, frozen berries, rice, quinoa, potatoes, beans, spinach, kale, frozen veggies, avocado and, right now, apples. Once you have your staples, feel free to venture out and try some new foods and maybe challenge yourself to try cooking a new vegetable, but don’t continue buying romanesco broccoli or purple sweet potatoes every grocery visit if they’re just going to sit at the back of your fridge for 2 weeks then end up in the trash. This can take some trial and error. Personally for me I know I do not eat pears, chard, or beets regularly enough to keep them in my regular grocery haul. Sometimes I’ll throw them in my cart if I have a recipe in mind, otherwise I know I’m just wasting my money. This entry was posted in Nutrition, Recipes - The BEET, The BEET on October 4, 2018 by Hailey Phelan. The Santa Barbara Unified School District (SBUSD) is the first known school district in the US to remove processed meats from its lunch menus. This entry was posted in Nutrition, Nutrition in the News, Uncategorized on September 25, 2018 by Hailey Phelan. It’s not as scary as it sounds, we promise. A crucifer is simply the name of a category of plants that have 4 leaves in an “X” shape. 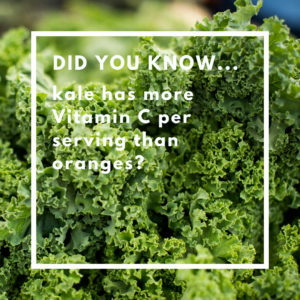 While they’re fairly common vegetables, like broccoli, kale, and brussels sprouts, most people have no idea of the enormous health benefits that these veggies and greens contain. It is essential for the liver to remove toxins from the body. Toxins in your body can be anything from pesticides on food to pollutants in the air to alcohol. Sulforaphane signals the body to make more of its own antioxidants. Antioxidants are extremely important for you body to fight off free radicals. Free radicals are destructive molecules that occur naturally as our cells burn fuel for energy and contribute to cancer, dementia, and aging. If someone you know is suffering from dementia check out these care agencies sheffield, that are specialized to help those with dementia. By doing both of the above, sulforaphane helps to activate genes that help fight cancer. Similarly, sulforaphane also makes sure our bodies are repairing the daily damage that happens to our DNA through sun exposure, smoking, and radiation. 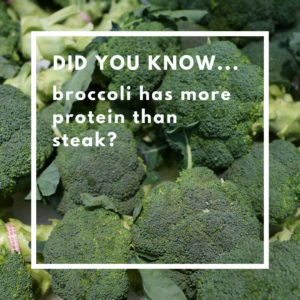 If you’re like us, then after reading that, you’re super excited to eat some cruciferous veggies! But what are they, and how can we (tastily) eat more of them? *** Includes sprouts or microgreens of any of the above. 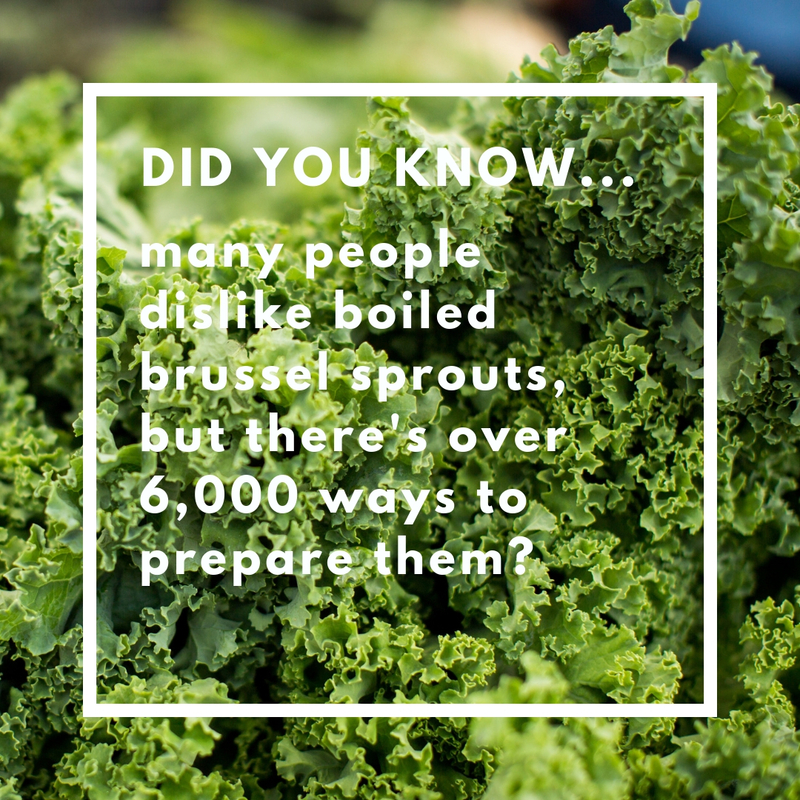 Pre-cut crucifers like Brussels sprouts, cabbage, or cauliflower 40 minutes before cooking. This allows enough time for the myrosinase and glucoraphanin to comingle and create sulforaphane. If you don’t have time to wait 40 minutes for sulforaphane to form before cooking, simply add mustard powder or another raw crucifer to cooked crucifers when eating. 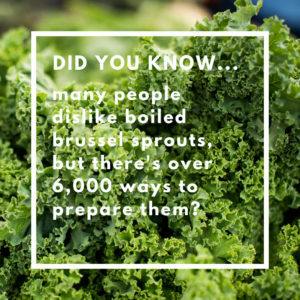 If you’re using frozen vegetables like broccoli or cauliflower, add mustard powder or another raw crucifer to the meal to activate the sulforaphane, as frozen veggies tend to be parboiled before packaging. Increase your daily sulforaphane intake by adding sprouts or microgreens to your meals. Lightly steam cauliflower. Let cool and rice it in a Cuisinart. In a bowl combine riced cauliflower and the rest of the ingredients. Fry in avocado or olive oil until dark brown on each side. This entry was posted in Nutrition, Recipe, The BEET on September 25, 2018 by Hailey Phelan. We all know that eating fruits and vegetables is healthy, but sometimes we end up thinking of it as a chore and it can become unappealing. But it doesn’t have to be! Although it can be daunting to try and tackle cooking a food that you’ve never eaten before, such as kale or Japanese sweet potatoes, I’m hoping that some of the tricks I use every single day to load my plate up with plants will help you out. Add greens to your smoothies. Putting in a handful of spinach is the best way to incorporate more greens into your diet. Spinach has a very mild taste and if you’re loading up your smoothing with bananas and berries and other fruit, the spinach taste will be easily masked. You’ll have a tasty, nutrient powerhouse of a smoothie. Everything you need is a cheap juicer. Keep it simple. We don’t need to be making kale-seaweed salad with a spirulina infused dressing to be eating more veggies. One of my favorite things to do is purchase the frozen bag of mixed vegetables and throw that over some cooked rice or sweet potatoes, making a big batch of baked sweet potatoes in the beginning of the week and then using it as the base for most of my meals. A big bowl filled with some salad greens, baked sweet potatoes, canned beans, and avocado is a healthy, cheap and delicious meal. Try something new. Sometimes it can be fun to try out a new recipe with an ingredient you’ve never used before. There are an unlimited amount of recipes for every kind of fruit or vegetable out there, so next time you’re stuck with a head of cauliflower and have no idea what to do with it, try and make some buffalo cauliflower wings. One of my favorite comfort foods is Thai Curry! It’s SO versatile, you can literally throw in whatever vegetables you have, add some coconut milk and curry powder and BOOM- Thai curry. All of these ingredients can be found at the grocery store for cheap and are full of nutrition to keep you healthy during these winter months. Add tofu to curry pot. This entry was posted in Nutrition, Recipe, Recipes - The BEET, The BEET on September 18, 2018 by Hailey Phelan. Pears are tasty fall fruit in Santa Barbara County, but did you know they are also a great source of fiber, vitamins, and minerals? 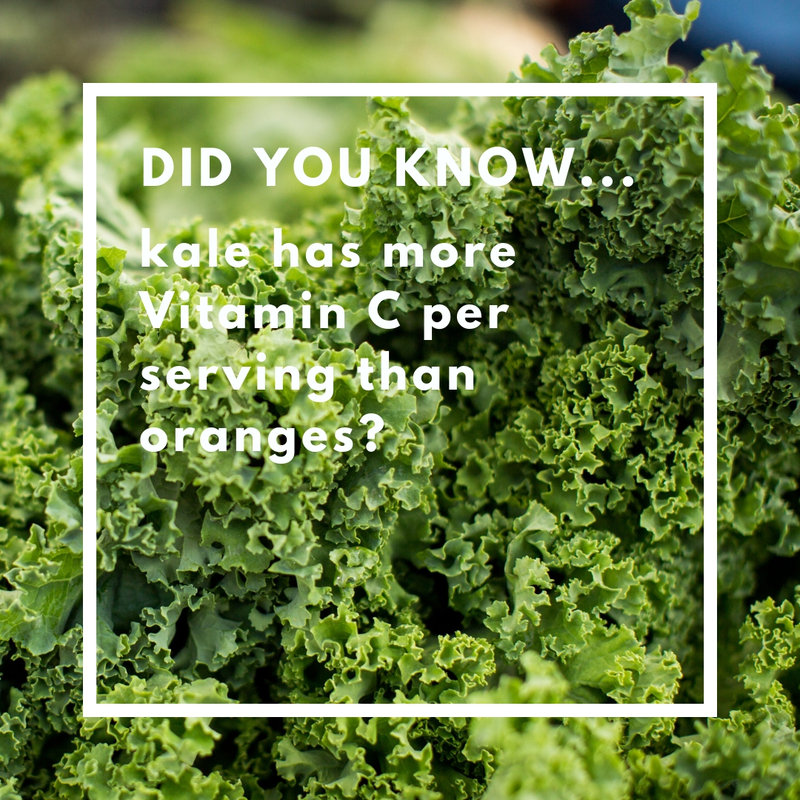 They are packed with vitamins C and K, potassium, calcium, iron, magnesium, and folate. 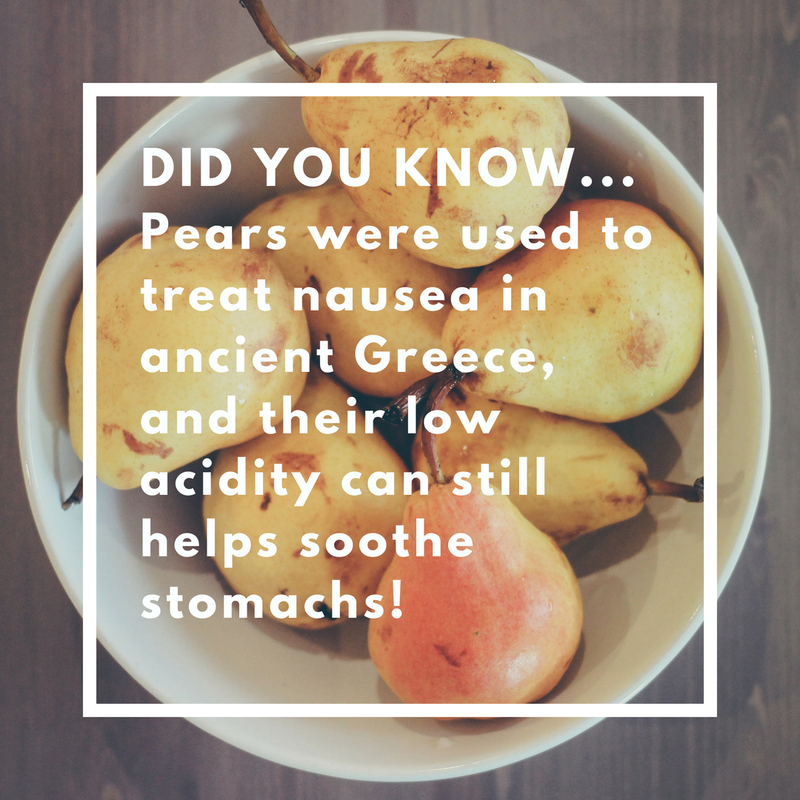 Pears also contain phytonutrients that protect against certain diseases and cancers. For a quick, tasty treat, enjoy pears sliced on a cracker with honey and some cheese. This also makes a great appetizer at your next get-together! Peel and core the pears and apples and cut them into large chunks. Place the fruit in a large bowl and toss with the cranberries, zests, juices, granulated sugar, flour, cinnamon, and nutmeg. Pour into a 9 by 12 by 2-inch baking dish. Combine the flour, sugars, salt, oatmeal, and coconut oil/margarine in the bowl of an electric mixer fitted with a paddle attachment. Mix on low speed for 1 to 2 minutes, or until the mixture is in large crumbles. Sprinkle evenly over the fruit, covering the fruit completely. Place the baking dish on a parchment-lined sheet pan and bake for 50 minutes to 1 hour, until the top is brown and the fruit is bubbly. Serve warm. This entry was posted in Nutrition, Recipe, Recipes - The BEET, The BEET on August 28, 2018 by Hailey Phelan. The blog is back in town! Meet Taylor Brower, our newest blog contributor. Taylor is an alumni of UC Santa Barbara where she received her Bachelor’s of Science in Biochemistry and Molecular Biology. She is currently studying at University of Alabama to receive a second Bachelor’s degree in Nutrition to work toward becoming a Registered Dietitian. Taylor discovered her passion for nutrition during her senior year at UCSB when she realized that food is medicine and that, when paired with a healthy lifestyle, it can prevent and reverse many common diseases that plague our country today. She is passionate about educating others on the benefits of incorporating more fruits and vegetables into their diet and loves talking about health. When she is not studying or working with the Foodbank, Taylor works at Santa Barbara Family Chiropractic and teaches swim lessons at Cathedral Oaks Athletic Club. She is an avid cyclist and can usually be found riding in the mountains during the weekends. Apples are always a popular autumn fruit. They will be in season soon in Santa Barbara, which means it’s time for you to get the real #nutritionfacts. Check out this week’s post for the truth about apples and last week’s post for a delicious, innovative recipe! “An apple a day keeps the doctor away” might be an overused phrase, but it’s actually true! Increased consumption of apples daily is associated with a decrease in risk for certain cancers such as breast, ovarian, and colorectal(1). 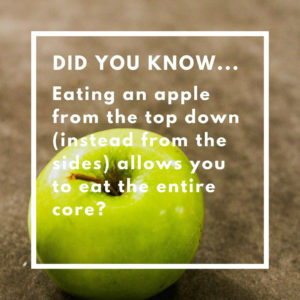 This protection is due to the abundance of antioxidants apples contain, most of which are actually concentrated in the peel (so make sure to eat that too!). Apples are also a great source of fiber to help regulate blood sugar and make for a great snack! This entry was posted in Nutrition, Recipes - The BEET, The BEET on August 16, 2018 by Hailey Phelan.